Considering a move to Bethesda, Maryland or the greater Washington DC area? We’ve lived here our entire lives. And since 1990, we’ve helped people move into and around the area by building new custom homes. So of course we’re a bit biased, but certainly not alone in our love of this area! Here is a list of what’s to love about Bethesda, Maryland (in our opinion) in case you are considering a move to a Washington DC suburb. Bethesda, Maryland is located in Montgomery County. It is situated only about 8 miles northwest of Washington, DC. That gives residents easy access to downtown Washington DC, and it makes living in Bethesda very attractive for government employees and business owners. You don’t need to be a life long reside of Bethesda to quickly realize how desirable it is to live here. Bethesda, Maryland has landed at the top or near-top spot on every “best places to live” list year after year. 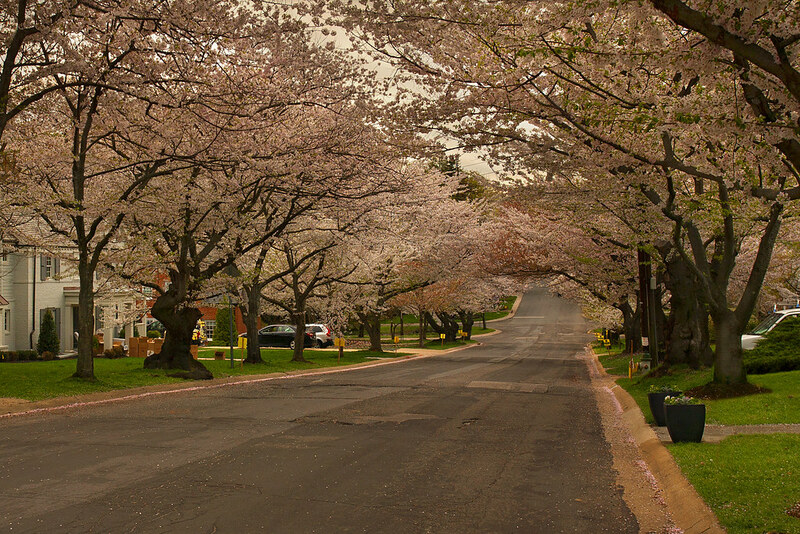 Bethesda is a low crime, tree-filled town with a population just a hair under 60,000 residents. And while it has a small community feel, residents benefit from it’s ample amenities. Bethesda has 250+ restaurants along with art galleries, theaters, shopping galore, local festivals and family activities. There is literally something for everyone, so a commute to Washington DC makes total sense. The housing market is booming in Bethesda too. According to Sperling’s Best Places, Bethesda has a median home price of $771,900 and home values have gone up 7.2% in the last year. So investing in Bethesda real estate is a good bet, but it will take some cash. Luckily, Bethesda is also one of the most affluent and well-educated communities in the US! It also has a below average unemployment rate. In fact, more than 80% of residents hold a college degree, and the median household income hovers at around $200,000 annually. This helps residents afford the beautiful homes we see throughout town! Check out the custom homes we've built around Bethesda! If you aren’t interested in the busy commute to Washington, DC you can rest assured that business is booming within Bethesda too! There are three business innovation centers within or extremely close to Bethesda. Tech startups can rent space from these facilities, and they offer reception areas and video conferencing amenities to make business simple for budding entrepreneurs. Montgomery County also offers legal advice through the University of Maryland, and financial advice through various service companies to ease the process of starting a business and creating jobs. Bethesda is historically significant because of its location along the Seneca Trail. The Seneca Trail was an original Native American trade route. Today it provides visitors and residents with miles of hiking and bicycling trails along with beautiful state parks. Culture also abounds in Bethesda because Montgomery County offers inducements to artists to live and work in the town. Grants are available grants through the Arts & Humanities Council. In addition, the state of Maryland designated Bethesda as an Arts & Entertainment District in 2002. As we mentioned, Bethesda also boasts live theater, independent films, public art installations and unique galleries. Our nation’s capital is a stunning place unlike any other, as are the surrounding towns. Bethesda is one of those beautiful towns with so much to offer. However, it does come at a relative price. Bethesda could be perfect for you if you are an established government employee or successful entrepreneur. Contact us if you want to find out more about Bethesda. We’ll show you around town as well as walk you through the current custom homes we have for sale! Did we miss YOUR favorite thing about Bethesda, Maryland? If so, please comment below! We’d LOVE to hear from you!